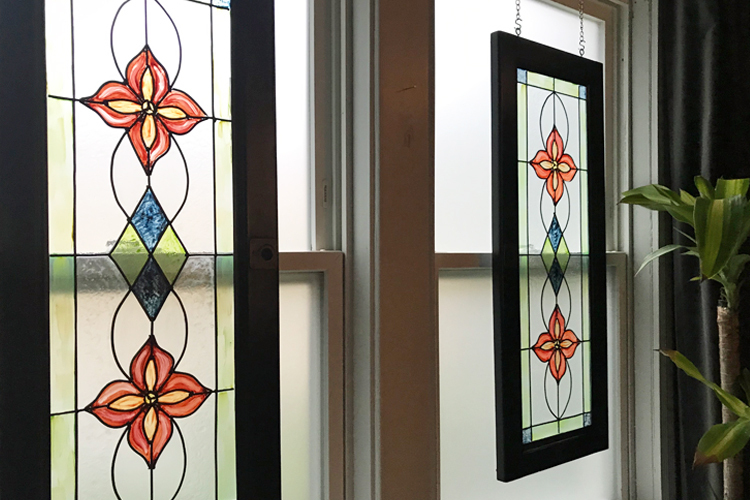 This easy DIY faux stained glass window doubles as art and a privacy screen at the same time. I was getting tired of the wood blinds in our small living room and wanted to let in more light. However, the house next door is really close to ours and we both use the shared driveway on that side of the house. Therefore, I need privacy. 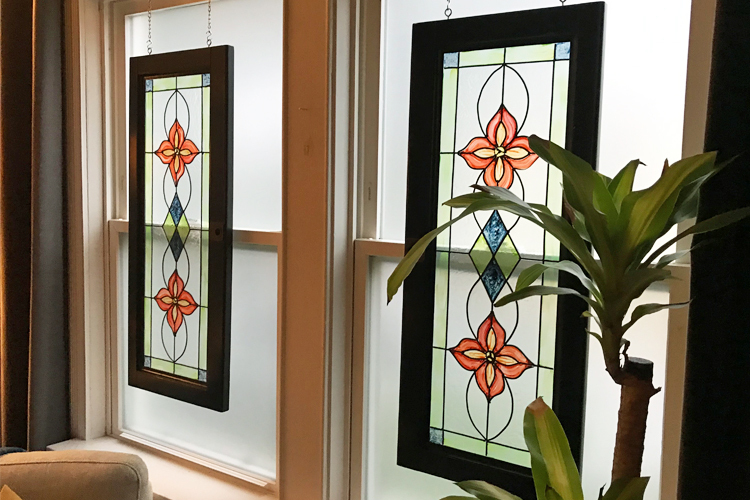 My design solution was to remove the blinds, add privacy film and hang a pair of faux stained glass windows to infuse some art, personality, and most importantly, more light. 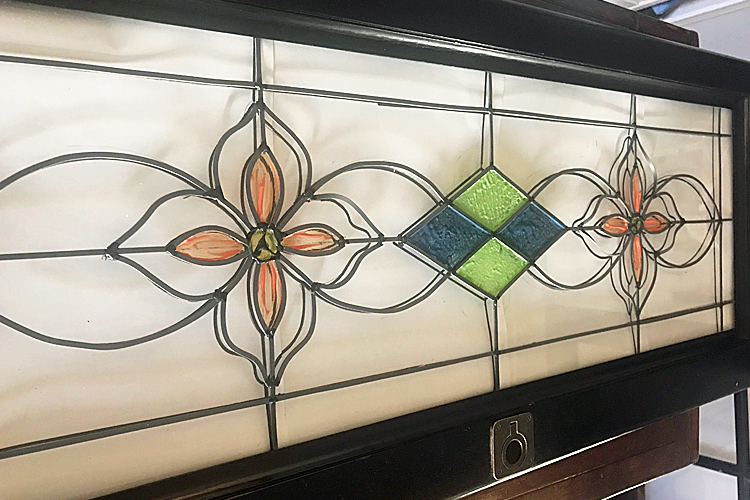 This decor project takes the DIY faux leaded glass window one step further by adding colorful paint. 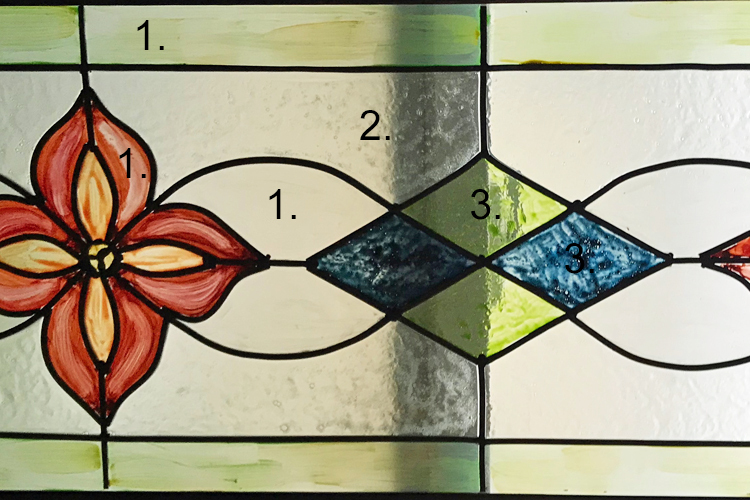 Before we dive into the step by step directions on how to make a faux stained glass window, I want to tell you where I got my windowpanes for this project. 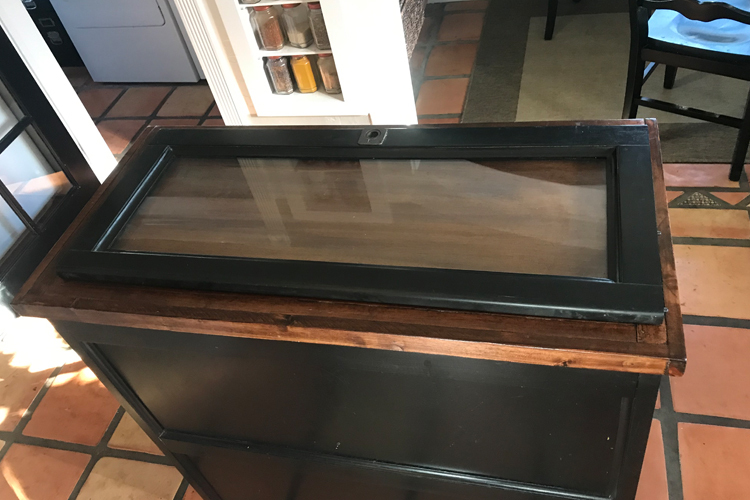 These are glass doors from a bookcase that I repurposed into my kitchen island. 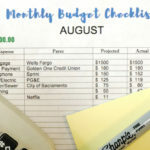 You don’t have to spend a lot of money on this project. You could use a repurposed glass door (like I did), a large thrifted picture frame, or even a mirror. Clean the piece of glass. 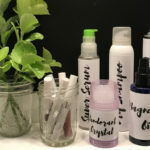 You will want to ensure that the instant leading is going to adhere well to your glass and keep flecks of dirt out of your paint on your faux stained glass window. 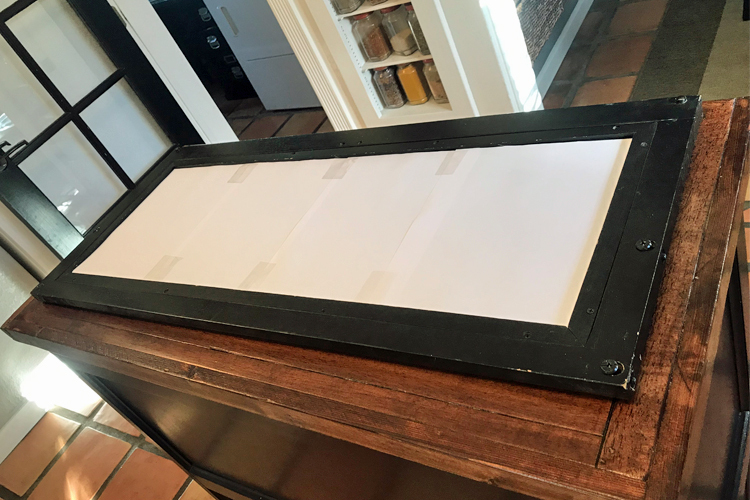 Using plain paper, create a template the exact same size as your project glass. This is what you will draw the pattern on for your faux stained glass window. 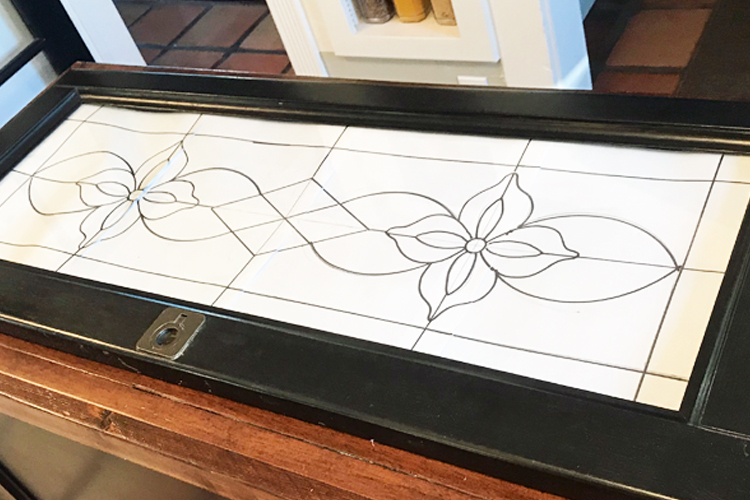 Design the pattern for your faux stained glass window and sketch it out using a pencil. You can see in the photo below that I did some erasing until I got it how I liked it. 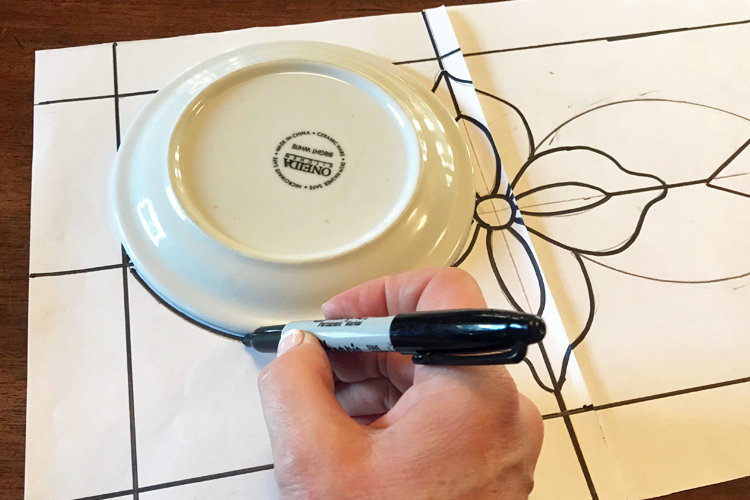 Once you are happy with your pattern, trace it out with a medium size black marker. 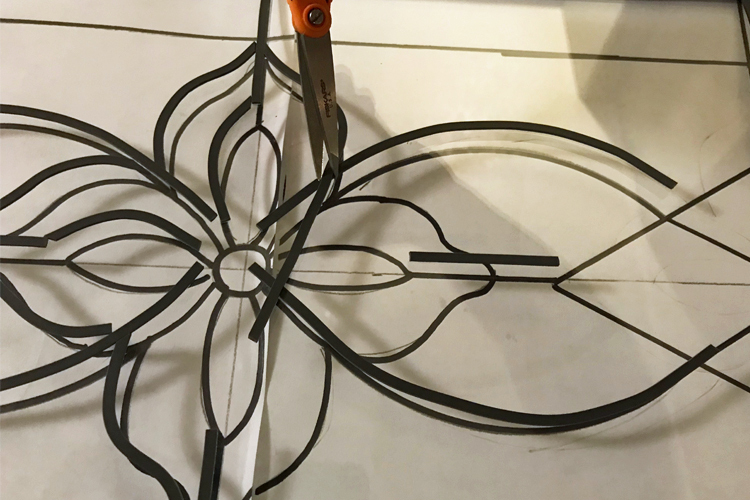 Tape the template on the backside of the project glass with the pattern facing forward. This will be your guide, for applying the instant leading. The instant leading is basically a thin rubber sticker. It is very easy to cut, manipulate, and reposition as needed. Note, I have found that if you move it more than three times, it may loose some of its tackiness. Use a box cutter or small scissors to trim the instant leading as needed. 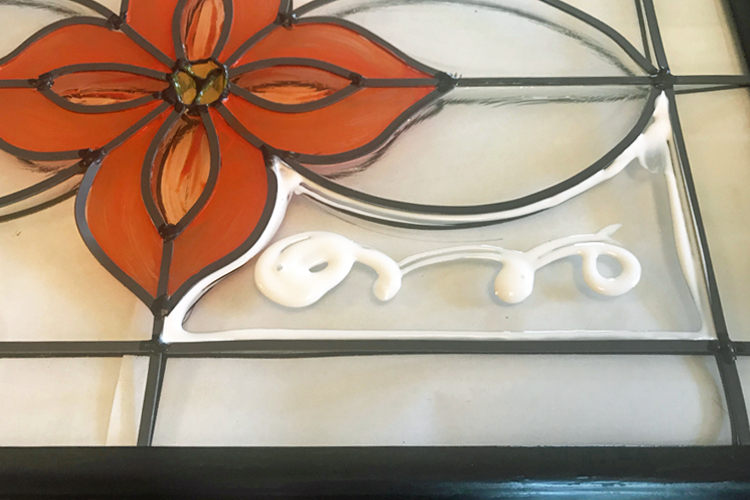 After you have all of the lead lines in place on your faux stained glass window, use the liquid leading that comes in the paint set. Apply a generous dot of liquid leading at each lead line intersection. Allow the liquid leading to dry before moving onto the next step. 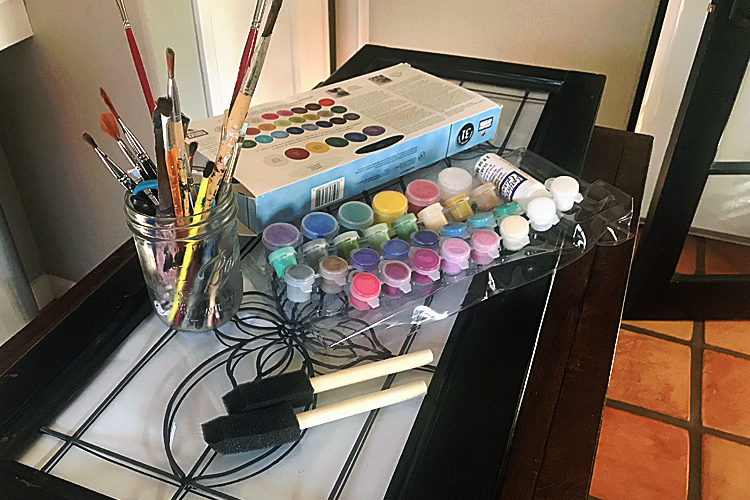 After the liquid leading is dry, begin painting your pattern working from the center of the project glass out to the edges so you don’t accidentally set your hand or paintbrush in wet paint. If after the first application of a color dries and it is not dark enough for your design, you can add a second or third layer like I did with the orange flower and blue diamond. 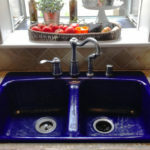 You can see in the below photograph, that the paint will dry clear. 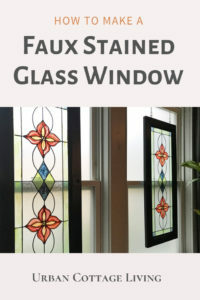 Use different textures for different colors on your faux stained glass window to give it character and interest. This step is also going to make it feel like a real stained glass window. The paint takes some time to dry, so you can play around with different patterns as you apply it. 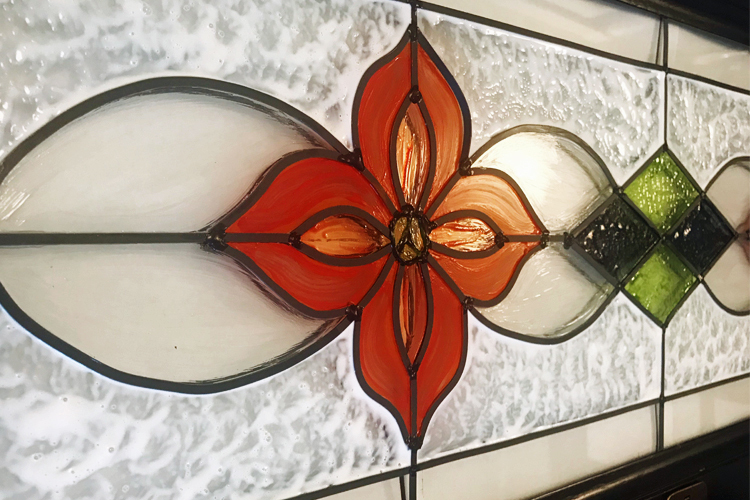 If you plan to hang your faux stained glass window attach small eye hook screws to the top of your project glass and from the area you will be hanging it. 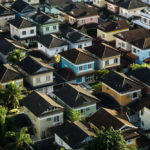 You’ll want to make sure they are strong enough to hold the weight of your window. Use small S hooks in the eyes and chain cut the length you need for your space. Once you have completed your first faux stained glass window, the process will more than likely have you hooked. 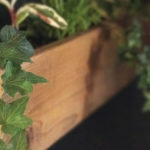 You can transfer this technique to other decor projects such as vases, picture frames, glass doors. 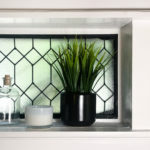 The possibilities are endless – how do you think you will use a faux stained glass? I love these so much! 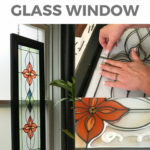 I just need to figure out what window I want to create my own for! Sarah, I’m so happy you like them. Be sure to share your’s when you are finished!